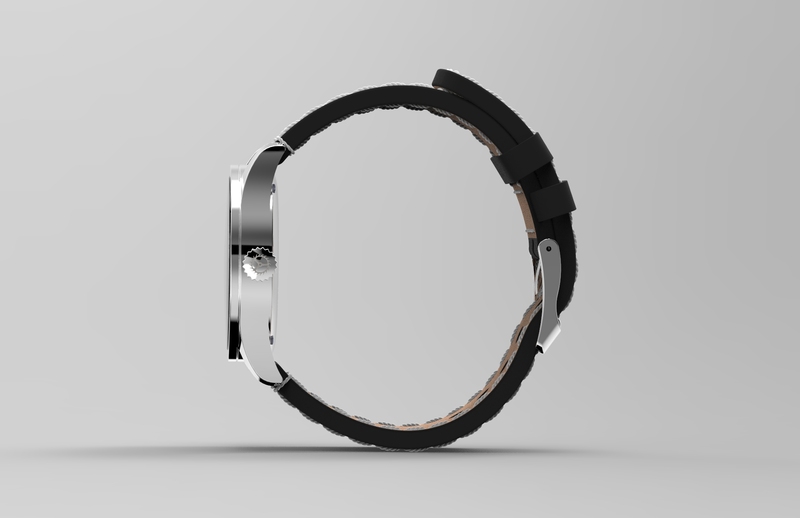 We have exciting announcements as we GROW and provide cool watch concepts like Build Your Own Watch. Stay Tuned! On this page you will find every BYOW newsletter. 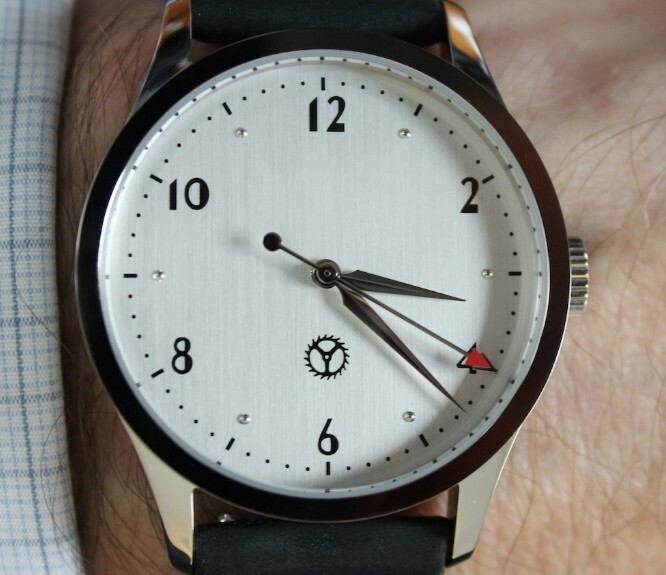 Scroll our short story and catch up quick, see the watches people have put together and wear. 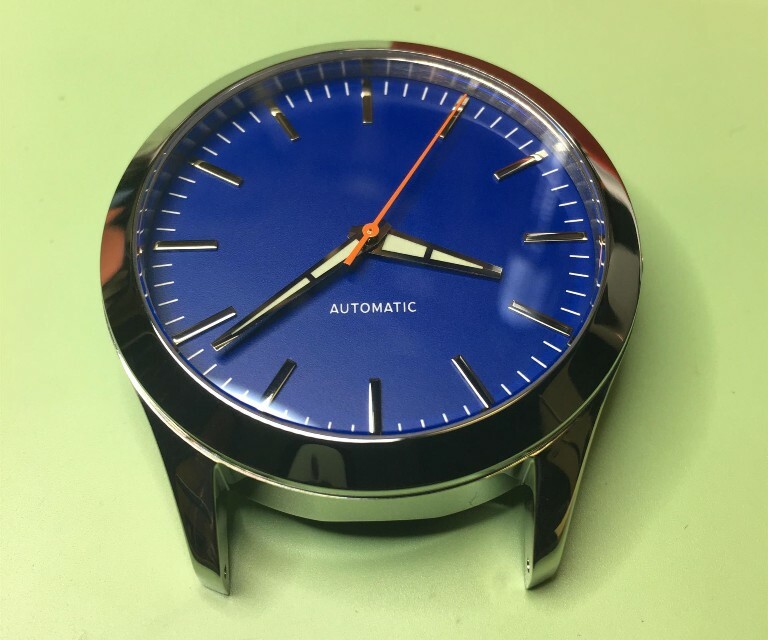 NOTE: Any Product, Service, Deal or otherwise mentioned on this page is outdated and likely was a limited edition and is no longer available; check the website at Build Your Own Watch to see what we are up to now. Hey! 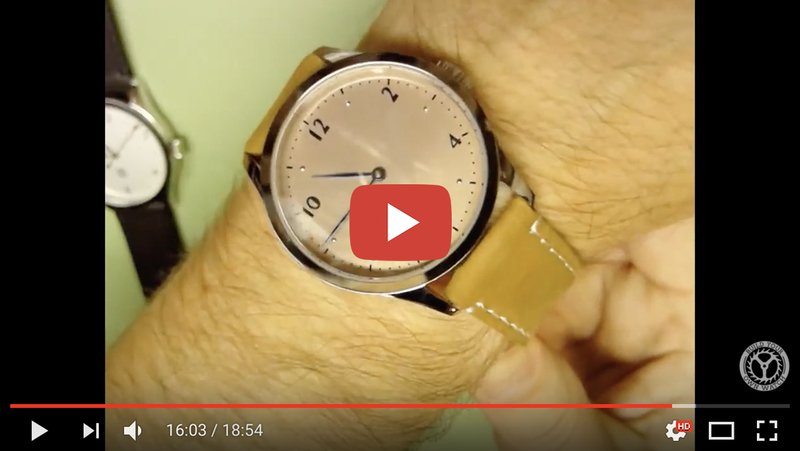 Get the Build Your Own Watch -> Film Yourself -> GET Your Video Published HERE! “Rick, you’re out of watches and we have not heard anything for a while!" You are correct, I have been busy on a couple fun projects! First and foremost, I had my first baby daughter to go with my three boys. Welcome to the world Evelyn! 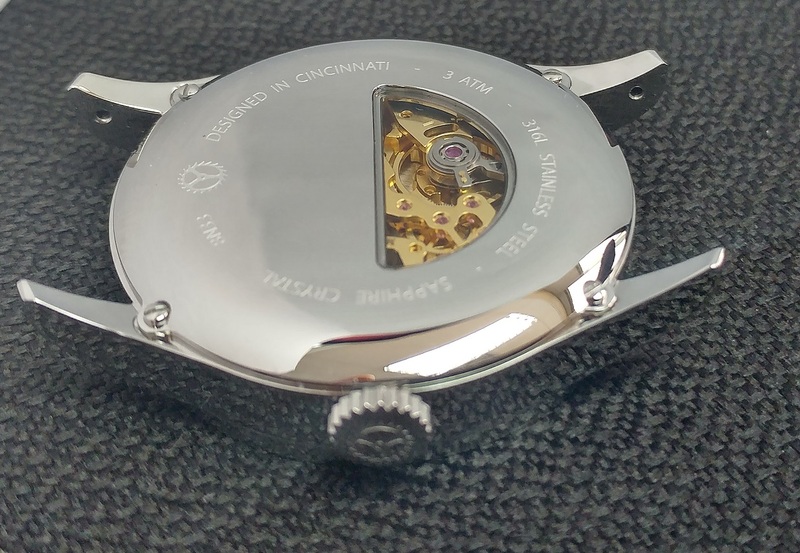 The Cincinnati Watch Company provides watches the traditional way. They come assembled with a warranty. 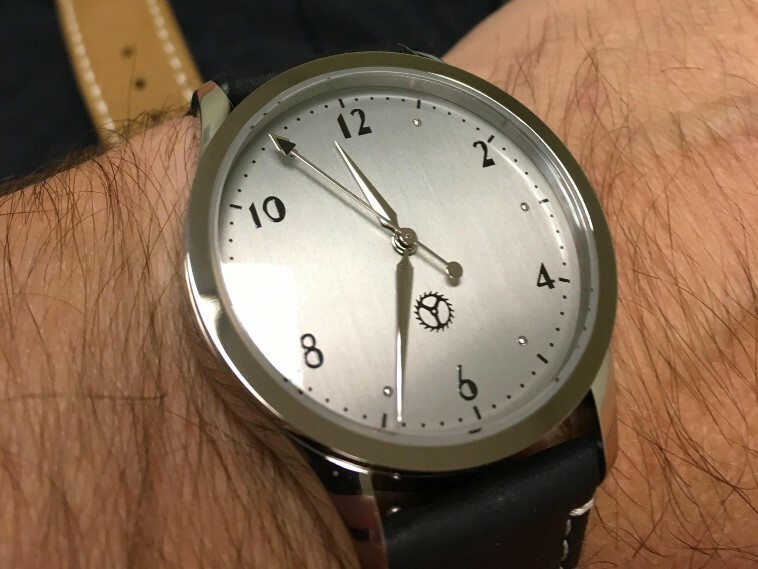 Going forward, if you like one of our watches and would prefer not to put in the labor, check the Cincinnati Watch Company website. 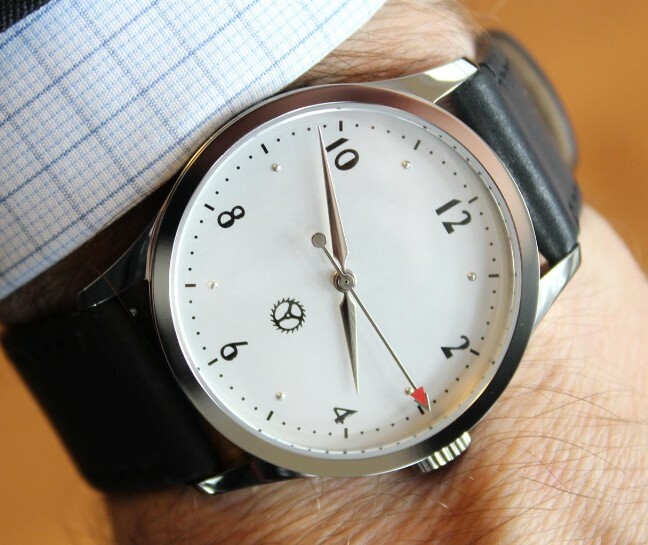 You will find that you save some money on the same watch assembling it yourself via Build Your Own Watch (Self-Assembly Rules!). 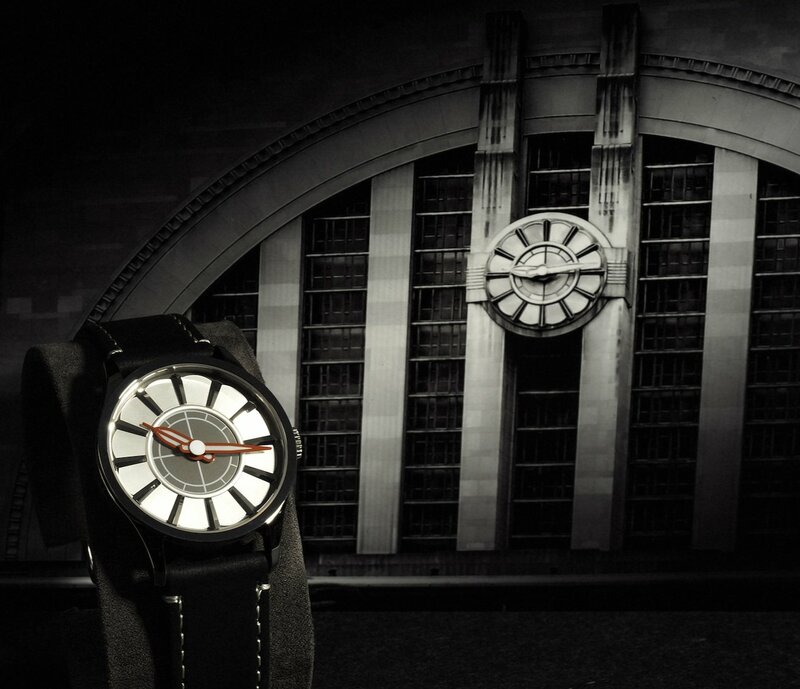 Cincinnati Watch Company launched a watch benefitting the Union Terminal, a glorious Art Deco train station turned museum here in Cincinnati, Ohio. An institution we really believe in! 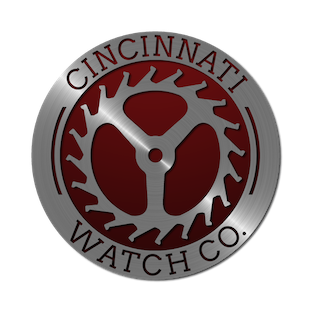 You will see Cincinnati Watch Company benefitting and inspired by things and places in Cincinnati. Our mission with the brand is to have fun with watches and give back to the community we love. By the way, we are almost out of the limited edition Union Terminal watch! We have some fun projects coming! I am committed to exposing you to more movements and different designs to challenge your building chops! 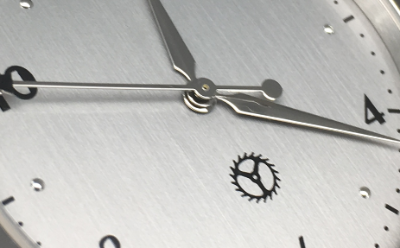 You are going to see a massive step up in quality in our next watch as we will launch our first Swiss movement watch for pre-order early next year that includes a date complication. 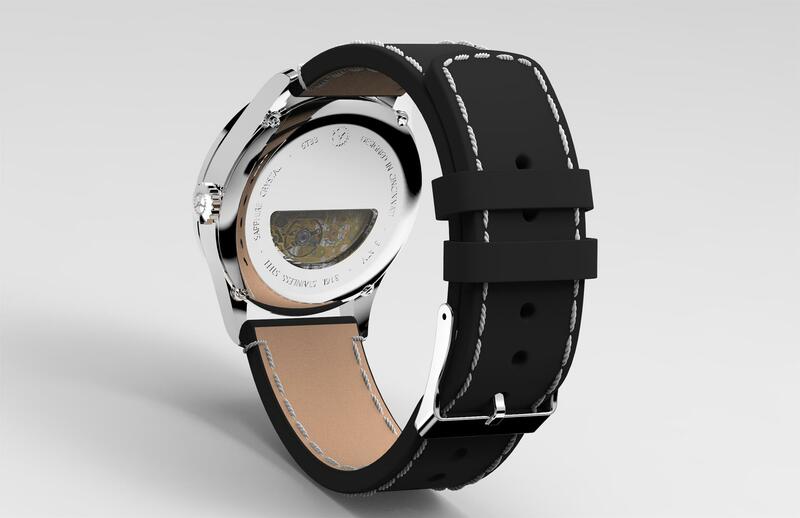 It will be military inspired and boy what a caseback! You will find that we will offer super-high quality over endless choices in the future. As a small brand it costs us a lot to provide all these different choices and a lot can be lost to waste. I’m moving our strategy to give you more watch for the dollar. You are going to see multi-layered dials, with multiple finishing technics, cool movements, awesome casebacks, custom hands and more! 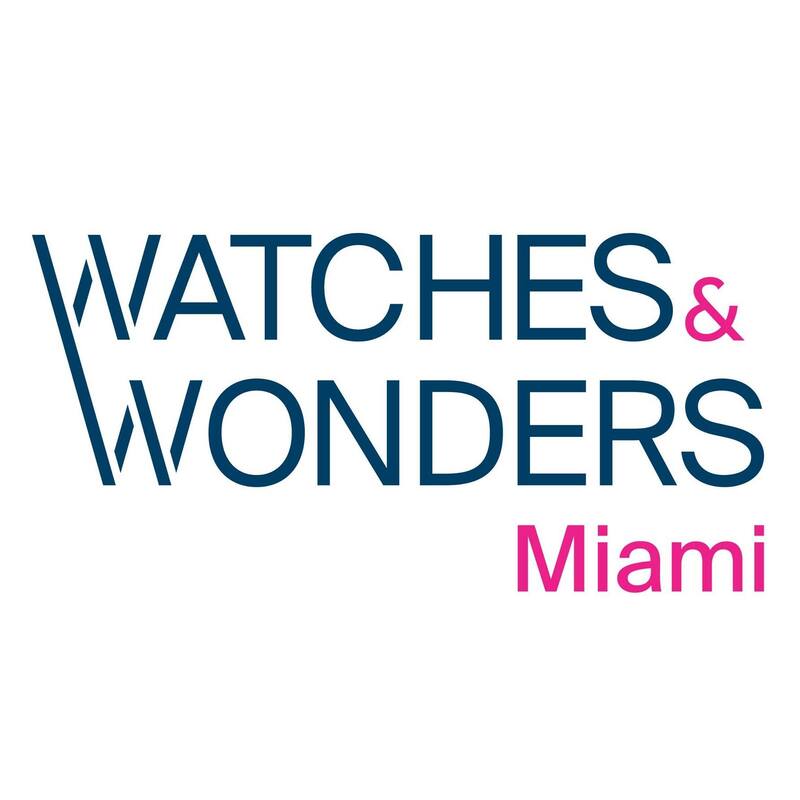 Watches And Wonders is an awesome watch show with some fantastic brands. I will be at the event looking at some wonderful watches, if any of you plan on going, drop me a line! Perhaps we can hold an informal meetup! What Have You Guys Been Up To!? Hello, Build Your Own Watch Community! You may have been wondering what we have been up to! 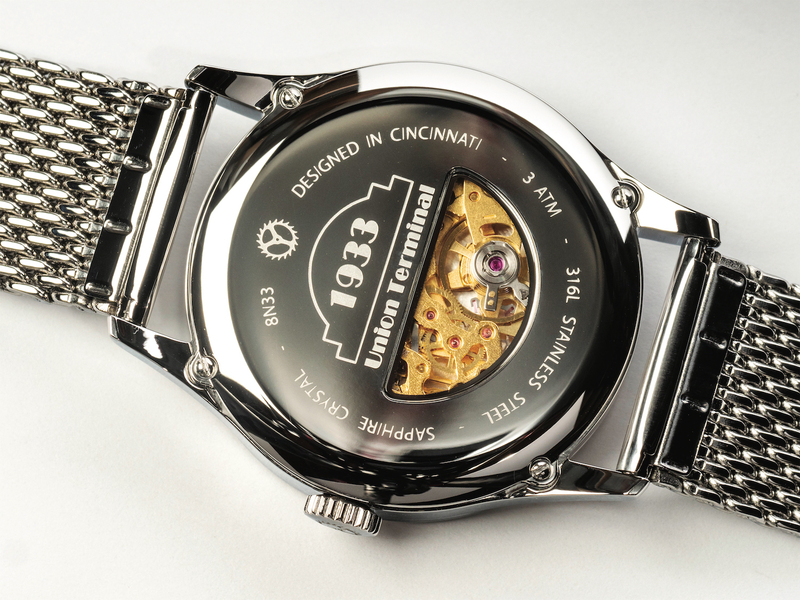 We have made a watch to commemorate the Union Terminal and Cincinnati Museum Center! This building has always been of interest to me growing up in Cincinnati. From going there as a kid to taking my kids there now, it is a fixture that is a part of the Cincinnati experience. It has stood since 1933 as one of the finest examples of Art Deco Architecture in America, and one of the last great rail stations made. Throughout WWII it served massive numbers, peaking in 1944 moving 34,000 people a day and by war's end, transporting millions of troops! It had one of the first Digital Clocks developed by IBM in 1933! All the clocks where synchronized to each other! The terminal boasted the first electro-pneumatically controlled track switching system that allowed for centralized control of the tracks. 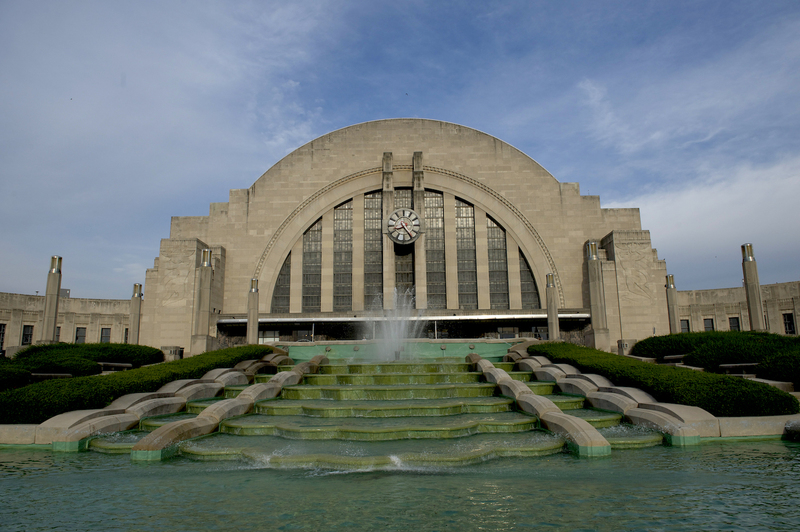 The Union Terminal was the basis for the “Hall of Justice” in the 1970’s cartoon, Super Friends by Hanna-Barbera! The Union Terminal is the largest half dome structure in the Western Hemisphere, and 2nd largest in the world behind the Syndey Opera House! 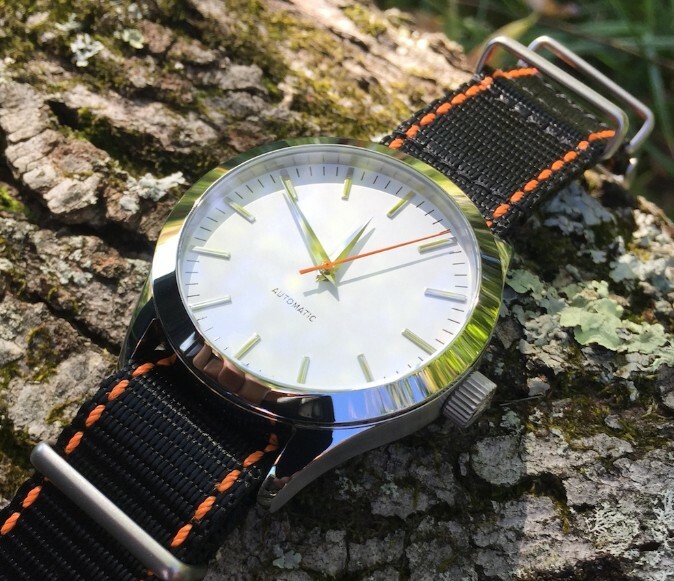 We are selling this watch under the Cincinnati Watch Company brand. 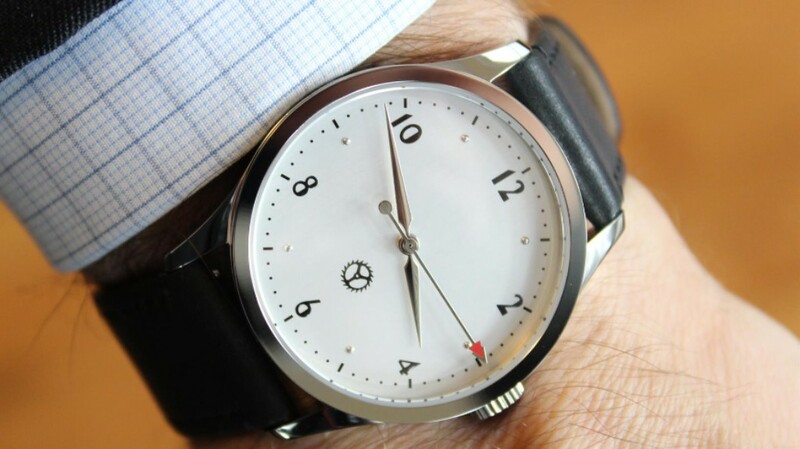 This will not be a kit, but a traditional watch you buy with a warranty. 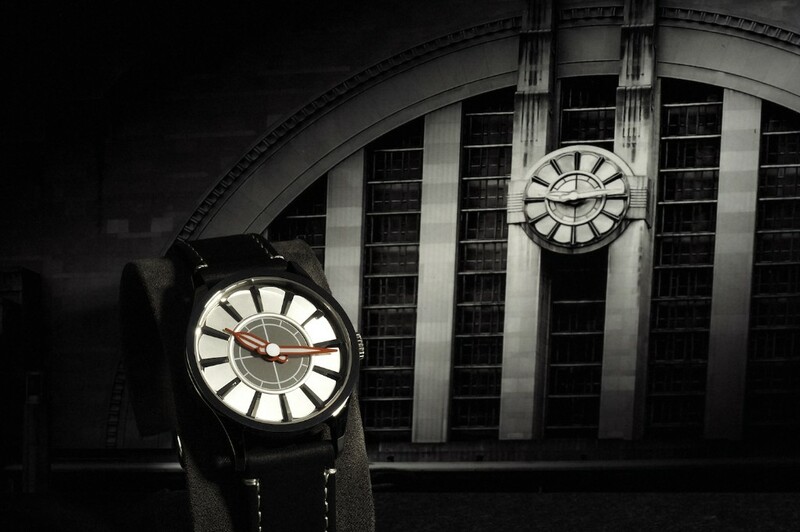 The dial and hands emulate the clock on the front of Historic Union Terminal. We did this in partnership with the Museum and a significant portion of the proceeds benefit the building I love! This has left us with most of our focus and resources on this project. We feel it is very important that this building stays preserved. It has been undergoing major renovations and re-opens completely in November of 2018. We will continue to press forward with new projects for BYOW. In the meantime, I implore you as great members of this little community we have going, to support this project in any way you can. Like us on Facebook, Post about it in watch forums and groups! Anything you can do would mean the world to me and my team as we launch this project! 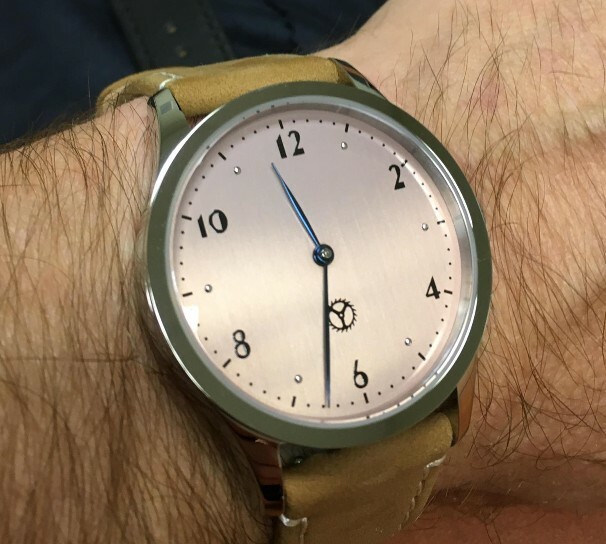 Beat the Heat - Build a Watch! 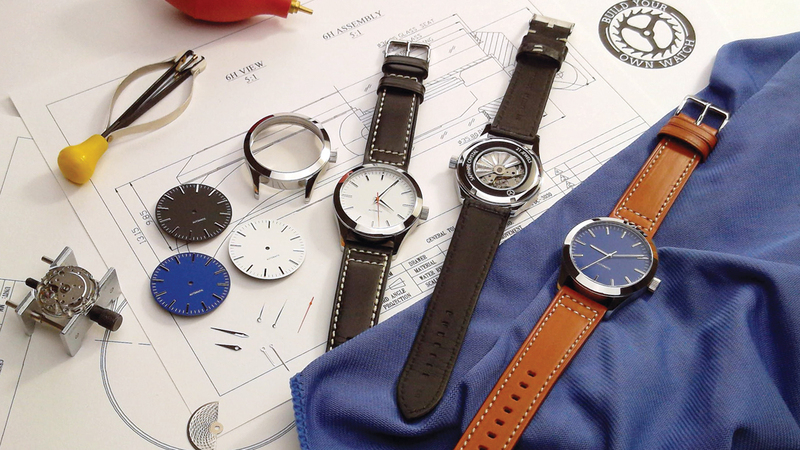 Get out of the heat and assemble a watch. Doctor's orders! We will be putting the Series One on a blowout sale this July! All good things must come to an end eventually, and we will be discontinuing the Series One after it’s sold out. We need to make room for upcoming projects! The Series One will be marked down to $145! And for our newsletter subscribers we will throw in an extra dial of your choosing! We do not expect the inventory to last long, this is your last chance to buy and assemble the watch that started it all! We will miss you Series One! Sorry, we did sell out of our available initial inventory but don’t worry, Series Deco fans. We are working towards replenishing the stock. we want to see pictures of your builds! 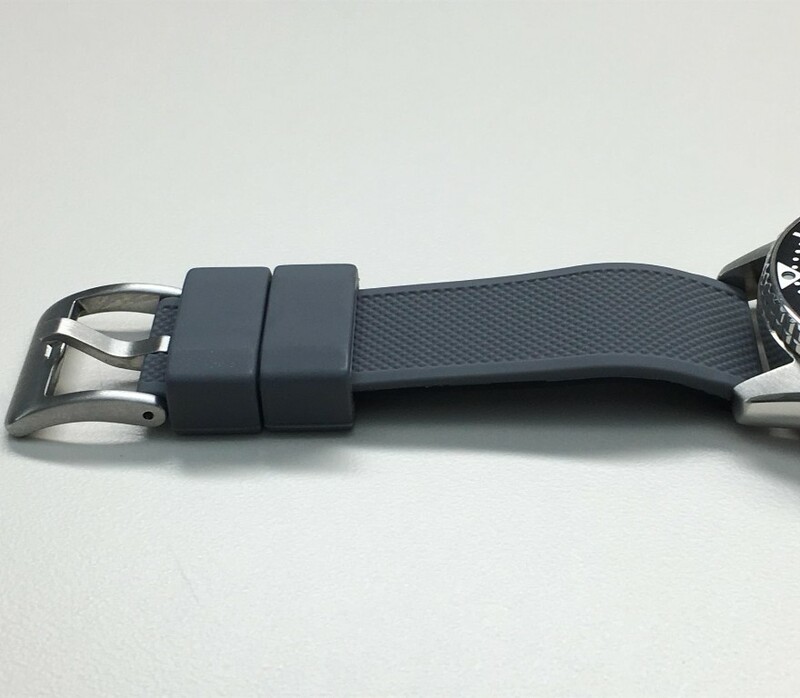 Like we did before, we will judge the pictures and the customer who submits the best, most creative and interesting picture will be sent a 20 mm Barton Canvas Strap (Great for Summer)! The winner will be announced August 15th! Let the race begin! Our customers come from all over. We would love to see pictures in front of interesting architecture, local happenings, wherever your watch travels to! We will post your photos on the Facebook page and the newsletter, so be aware we may use your pictures for those purposes if you submit a photo. 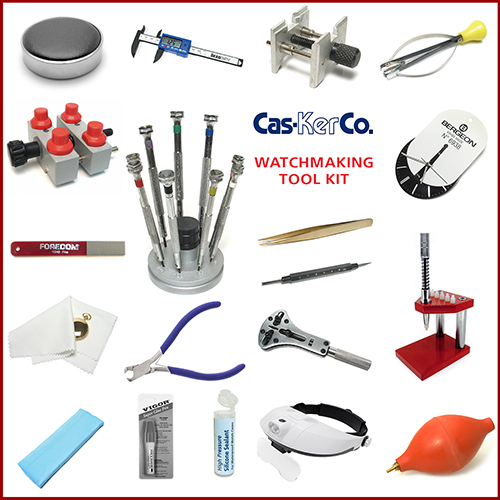 I am pleased to announce Build Your Own Watch is now partnering with the Cas-Ker Watchmaking and Jewelry Supply company for our new and improved tool kits! 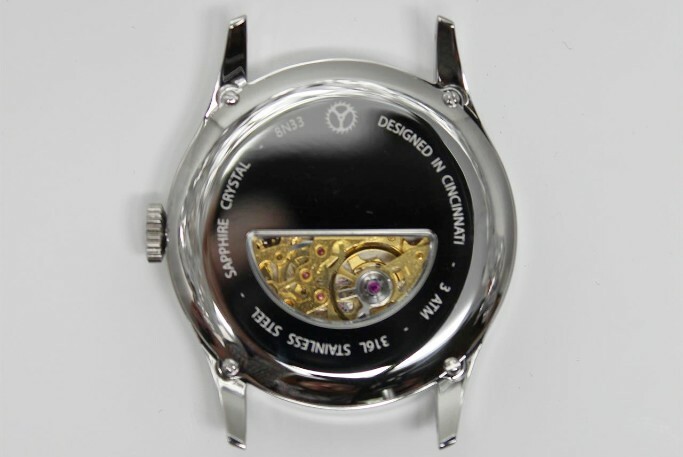 The Cas-Ker company has over 90 years of service as a family-owned Cincinnati watch and jewelry company! 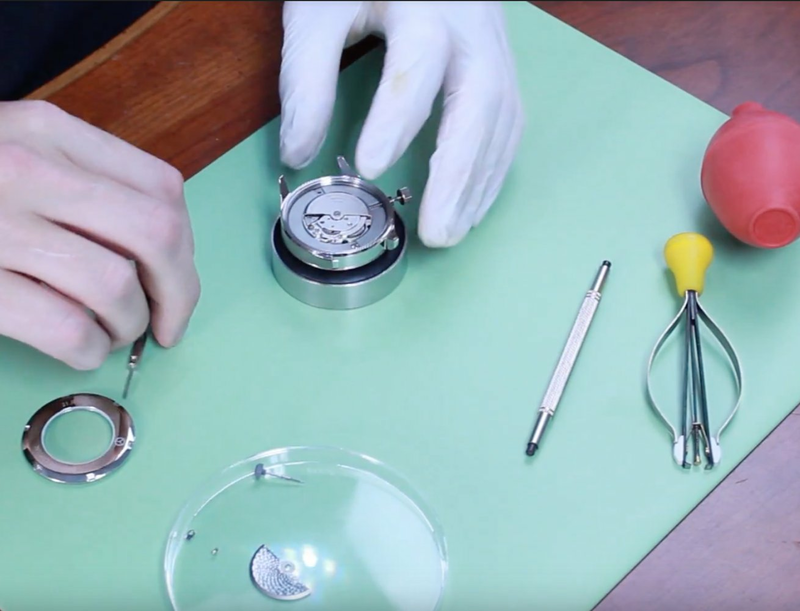 We are thrilled to have a nearby company to work with us on our tool kits that has such a long history of serving watchmakers! Improving and expanding on the previously featured tool kit, the new Economy Tool Kit includes all the items you need and none that you do not. Improvements make your build easier, and allow you to get started right away without having to obtain any additional tools. 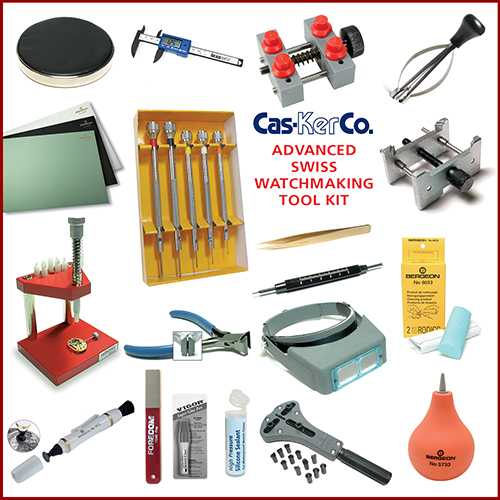 Cas-Ker is also offering a complete Advanced Swiss Watchmaking Tool Kit. This kit is comprised mostly of Bergeon and Horotec watchmaking tools that the Pros use and will last a lifetime. A Quick Update on the Series Deco. We finally receive our shipment Monday 6/4/18! We will immediately begin quality control inspections and start packing parts. We hope to be shipping Series Deco Kits in Mid-June. 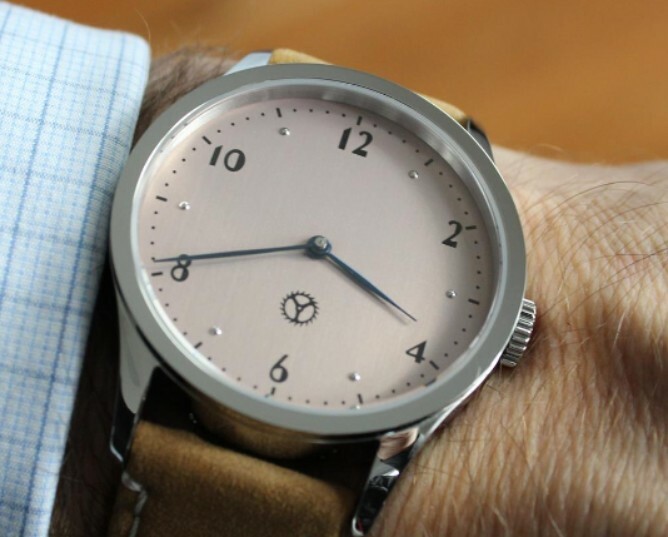 Those customers who ordered custom dial prints and engravings will see a shipment notification later in June. We still have 5 or so Series Deco left if you want one! I wanted to drop the Build Your Own Watch Community a quick message and make you aware of a change. The previous tool kit that we have been marketing since inception is no longer available, and we do not work with the previous tool supplier anymore. The good news is that all of the tools are available from many sources, and while we are investigating a new tool supply partner and considering the option of selling our own tool kit, we have a temporary solution that will work just as well! All of the items in the previous tool kit are readily available on Amazon! In many cases they are the exact same tools. I want to make tool acquisition easy for our customers, so we are dedicating a page with links to items we recommend that will get you through the building process. I have identified all the items you need and if you are an Amazon Prime Member they will ship for free! I also wanted to make improvements, so some items I am recommending were not in the original tool kit but are very useful, like a digital caliper for example. If you live in a region in which Amazon is not available, we do have a downloadable .pdf list of all the tools you need. 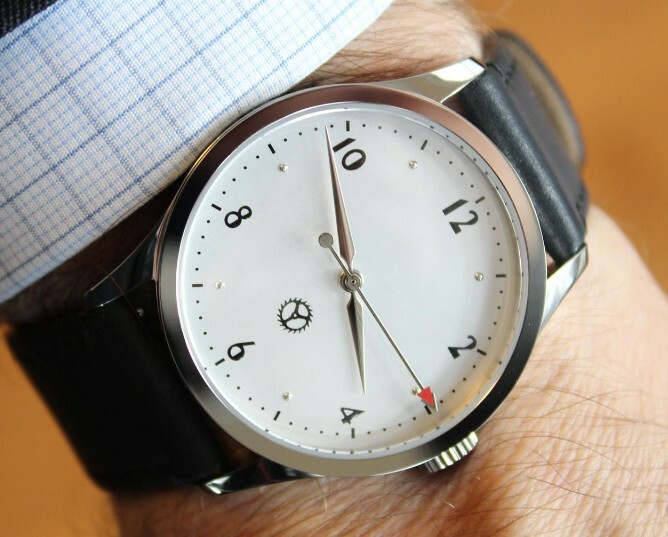 Watchmaking tools are all over the net. A web browser is your friend! I promise you that our dedication to service, design, customization and quality will never change! P.S. The Series Deco is shipping soon! We are down to under 15 left! If you want one, now’s the time! Hello everyone. I wanted to write a quick newsletter to remind that the Series Deco will be shipping soon and on time next Month! If this is a project you want to dive into be sure to order while we still have them on discount and available! My inventory allocation is already running low. I'm currently working on the training videos for this new watch project and they will be up and available before the first watch ships. We are also getting all the engravings and dial prints set up in anticipation of arrival. So if you ordered one, be on the lookout for an email from me with a dial proof to approve! 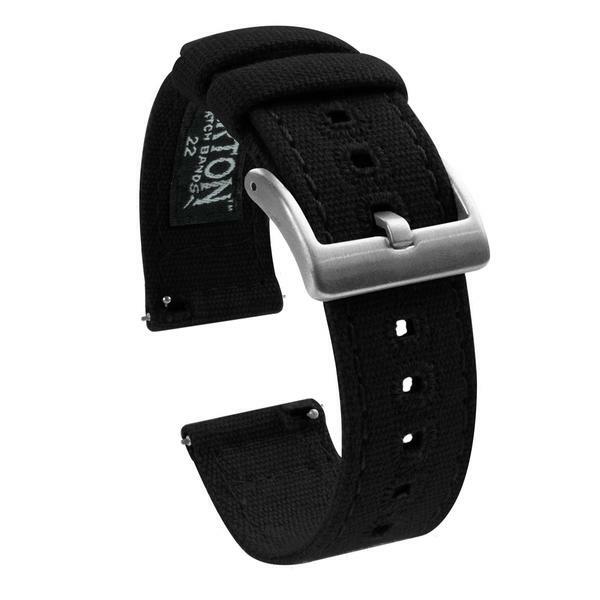 As you may know, we ship all our kits exclusively with Barton Bands. We love them for the quick release system and the quality. If you happen to be a dive watch fan and want a nice rubber strap I highly recommend Barton’s new Elite Silicone Straps. 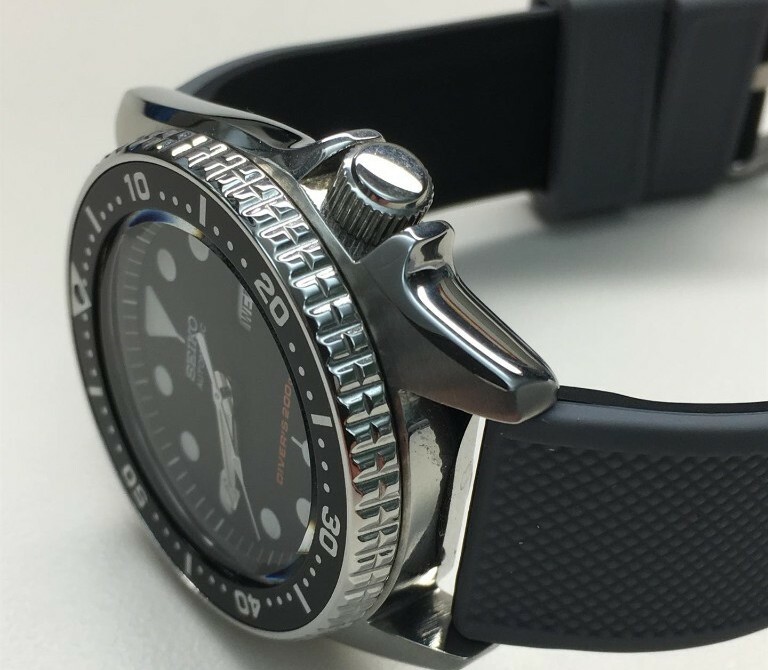 I purchased one for my trusty Seiko SKX013 and I have been very pleased. These silicone bands have a silky smooth soft side that makes contact with your skin and a sporty textured outer layer, many of them with different colors on either side. 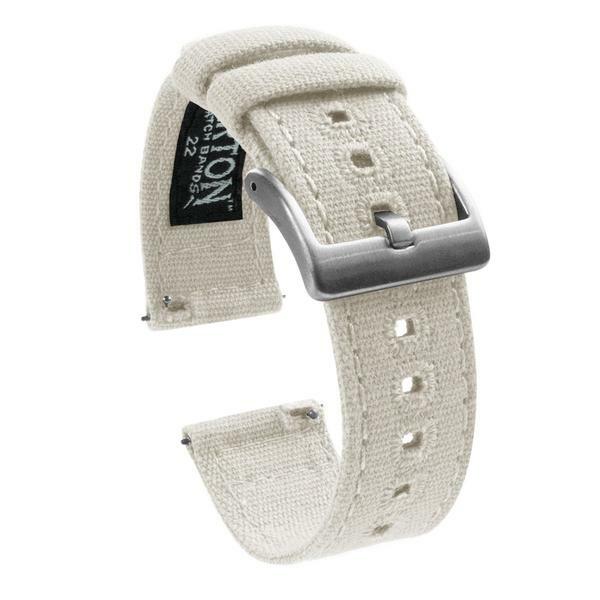 The band has a subtle curve near the lugs that makes for a perfect fit and they also include an extra half strap that’s shorter for the small-wristed fellow like myself! Let's make this tax season more bearable. 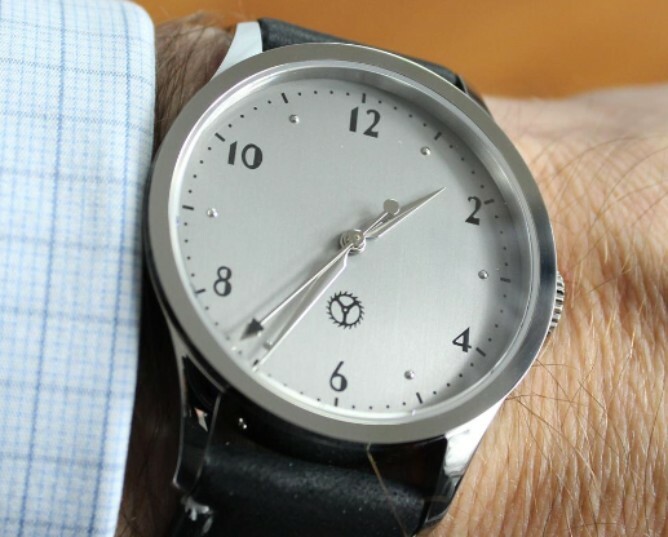 Build a watch to get your mind off all the fun! Enjoy Discounts During the Month of April on Series ONE and Series DECO Watch Kits! 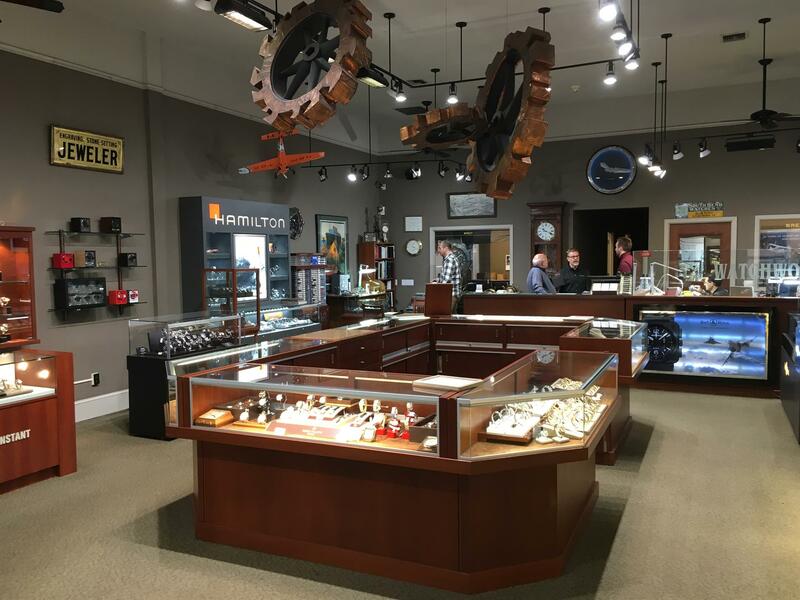 Check out Rick's latest blog on an awesome watch shop he visited on a trip to Portland: WatchWorks. 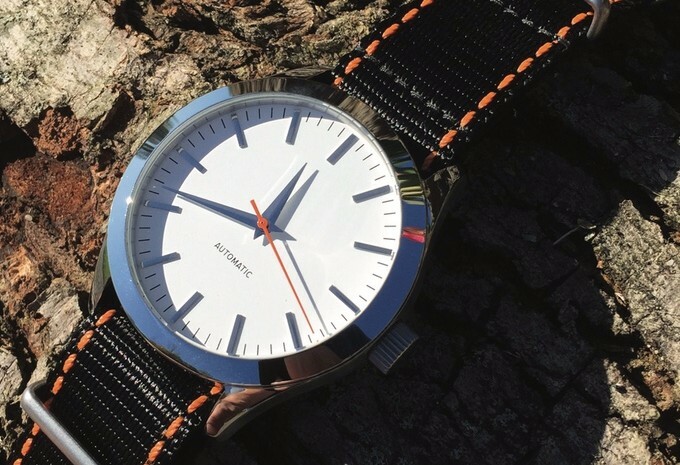 Just like much of the food in Portland, these watches are all organic and cage free... Well at least after you buy them! We're Offering the Series Deco at $159! Starting March 1 the pre-order price will jump to $179. We expect to begin shipping pre-orders in June. If you're willing to wait, save BIG by ordering in advance! just above the movement window. Continuing with our personalization features, you can still choose to have a custom image printed on the dial or an inscription engraved on your watch's buckle. I am proud to announce that the Series Deco prototype has finally arrived!!! I know I promised this earlier, but sometimes things turn out to take longer than expected. The wait was well worth it as I feel this watch is a stunner! 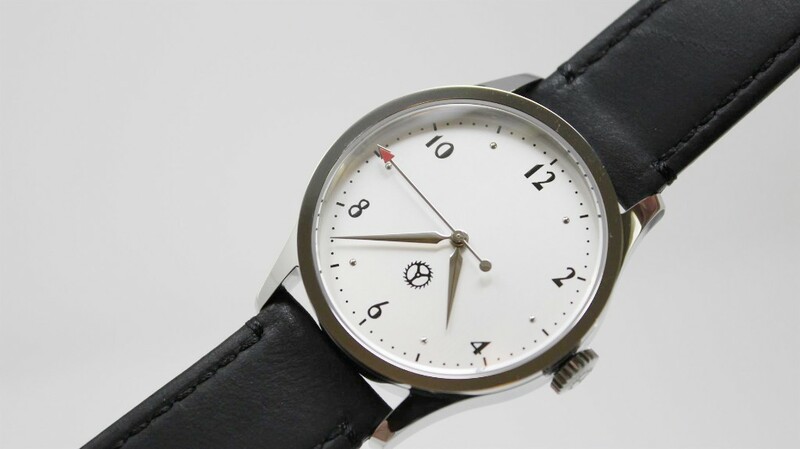 We are going to work furiously to get the watch live on the website for pre-orders at a reduced price. 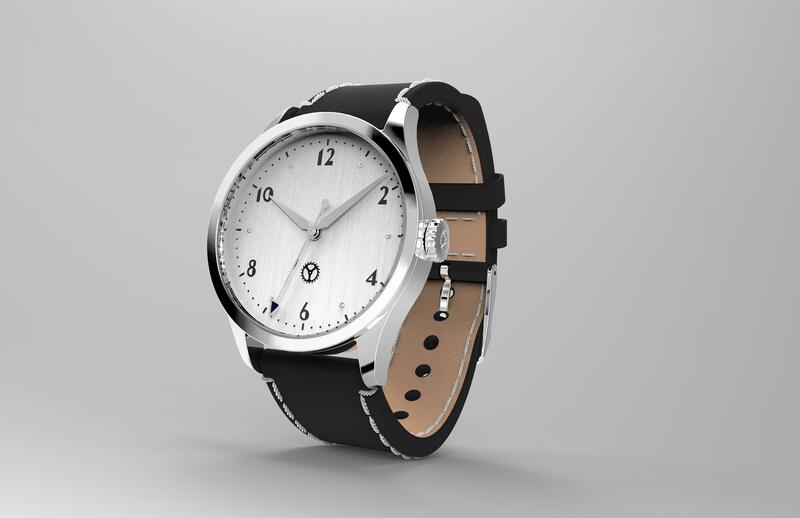 We expect to start shipping the Series Deco in May-June timeframe. I’ll know more precisely in March. We will offer a two handed leaf hand option that is real thermally blued hands. 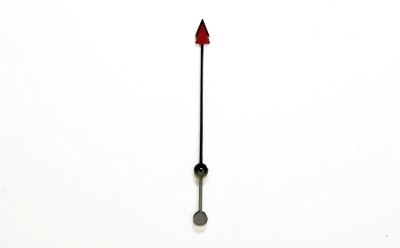 The sweep second hands with the “double arrow” tip will come in 4 colors, red, blue, orange and black. 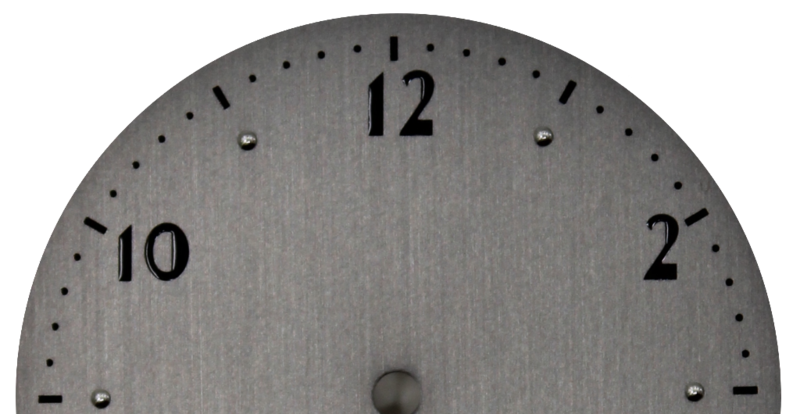 We have 3 dials options with awesome vertical brushing and Art Deco font, Silver-White, Grey, and a color that even I have yet to name, Rose-Tan? Maybe you guys have a suggestion? I know I discussed earlier using the Miyota 6T33, but due to torque limitations on the sweep second hand we decided ultimately to go with the Miyota 8N33. 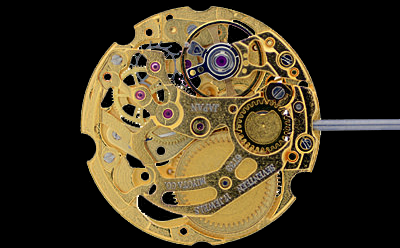 The 8N33 is still a hand wound gold tone, skeletonized movement. Primary difference is the size and beat rate. The 8N33 is larger and beats at 21,600 VPH. We do have new lume hands available for the Series One. 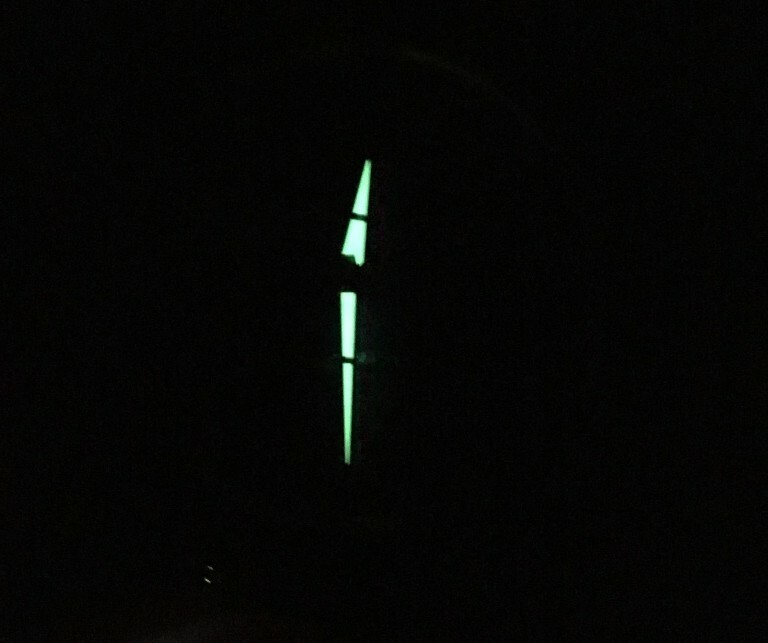 We used C3 luminova and I think it gives the Series One a sporty look. 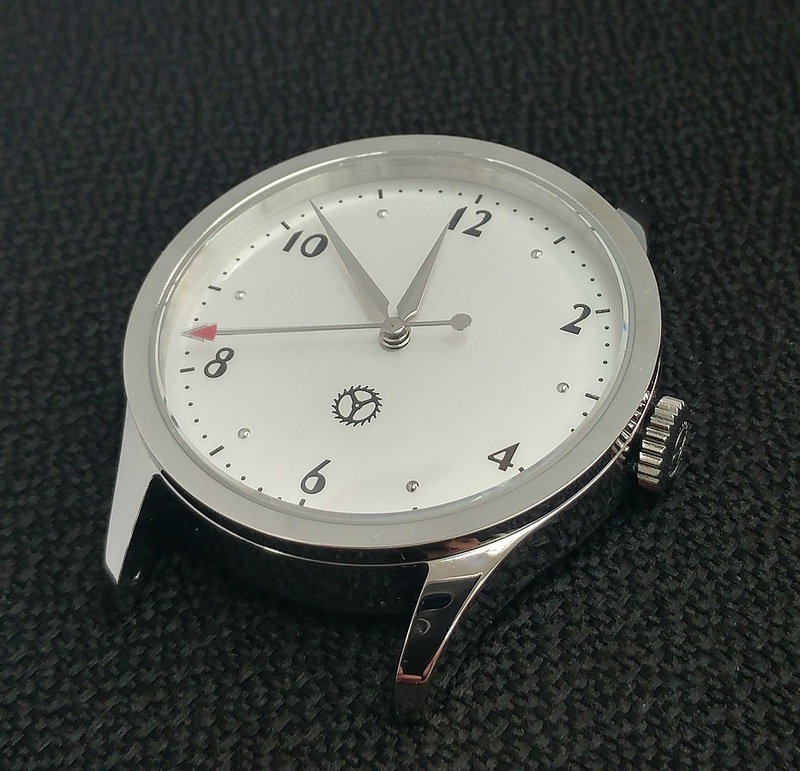 Here’s are some quick photos of them from a watch I was working on for a friend! Our friends at Esslinger have been great to us offering a comprehensive tool kit. Due to rising costs of the parts the Tool Kit $25 discount will end February 1. The kit will be offered for $125 which still is a great value for everything you’re getting in that kit. I have some of you requesting high end tools. 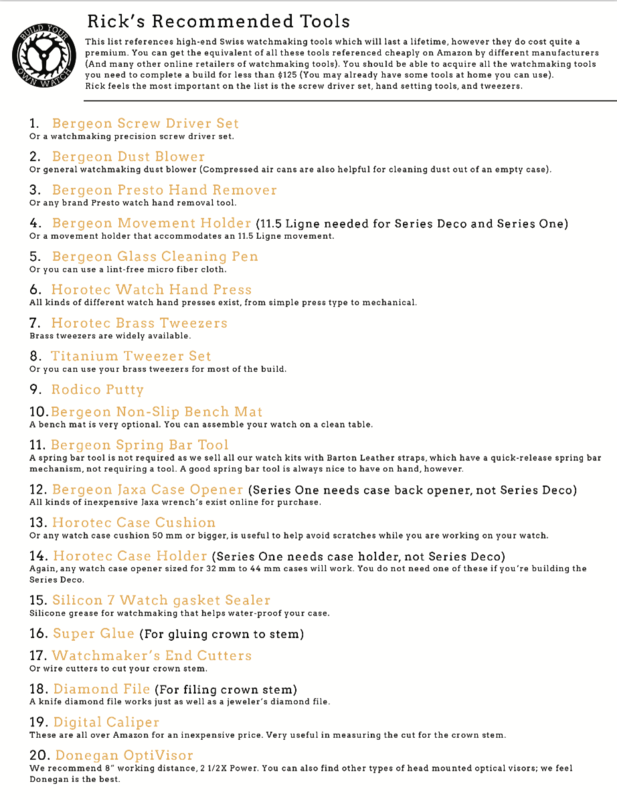 I am attaching a .PDF of my recommended professional grade watchmaking tools from Esslinger.com. 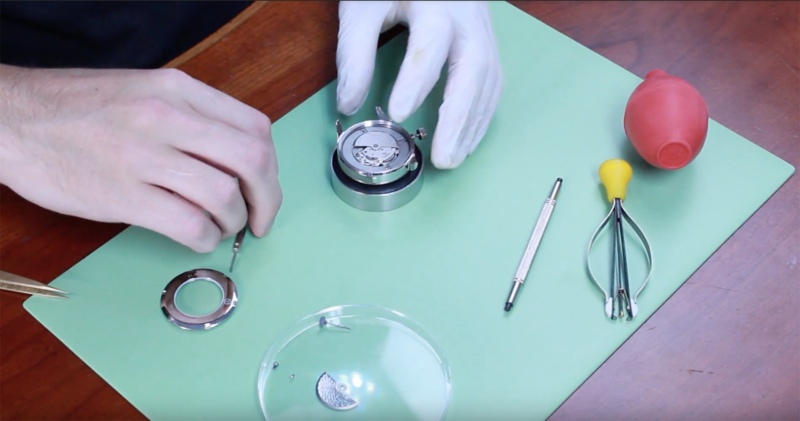 These will of course cost quite a bit more, but if you want to work on your watch using the same tools the pros do you can! High grade tools do make for an easier install, and you are paying for that, up to you! I know when I started I went nuts and got all the expensive stuff day one! 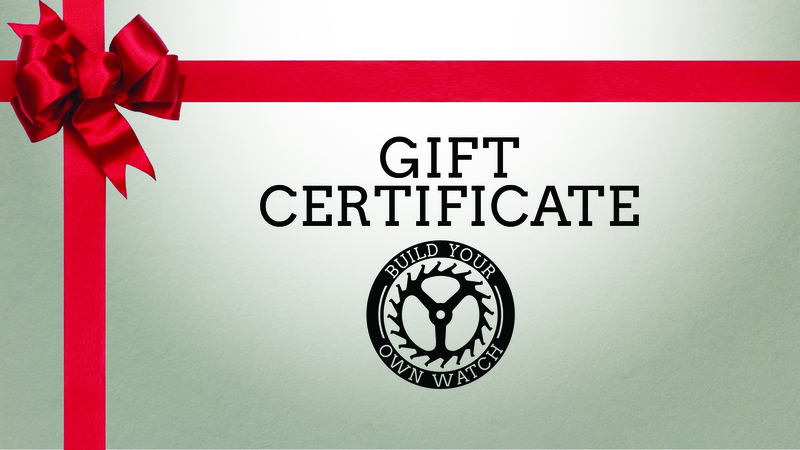 Did you know Build Your Own Watch provides gift certificates? 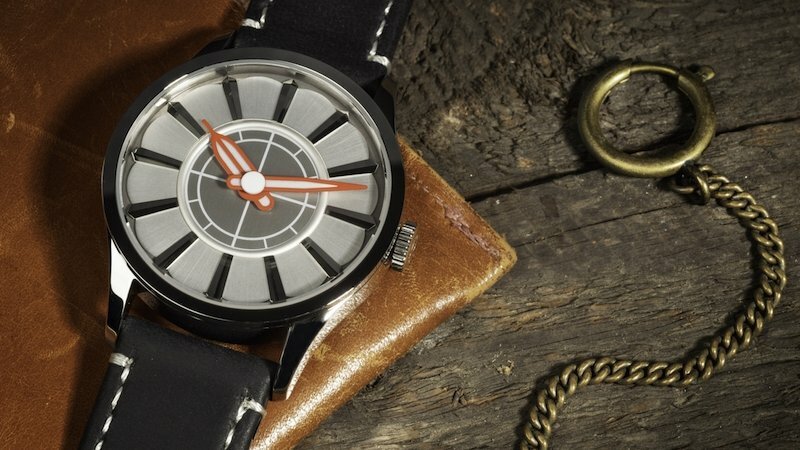 Give your friend or loved one the unique experience of building their own watch with their very own design choices. 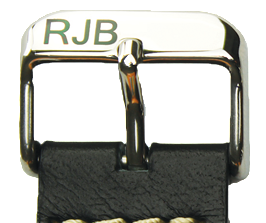 Orders placed with premium options such as dial printing or rotor and buckle engraving will not be shipped until after Christmas. All other orders without these upgrades will need to be in by this Thursday in order to get them by 12/25/2017. 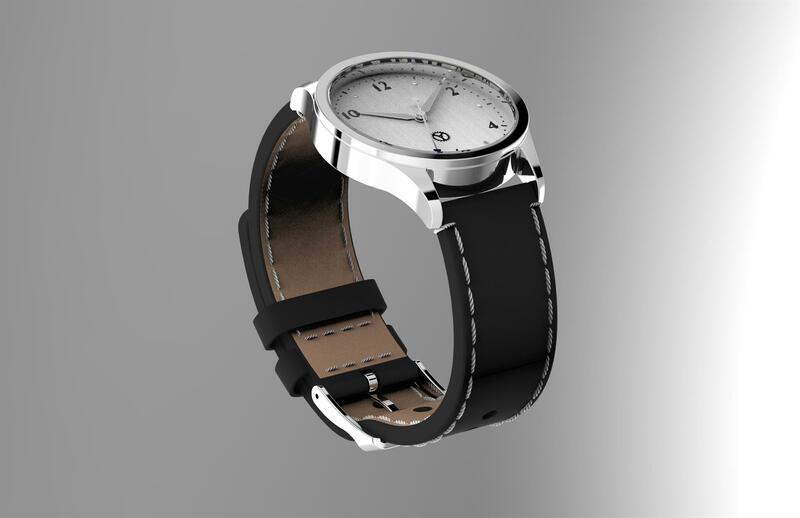 I am so excited to share these renderings with you and some more details on the new watch. 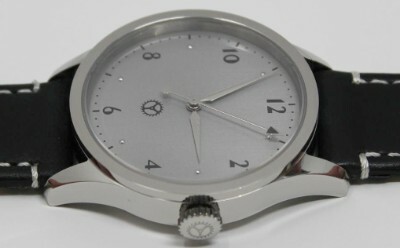 As mentioned before the new watch will use a Miyota 6T33 as the engine. This is a manual wind movement with a 40 hour power reserve and beats at 28,800 vph. The case back has a half display window, leaving the area above for custom laser engravings. 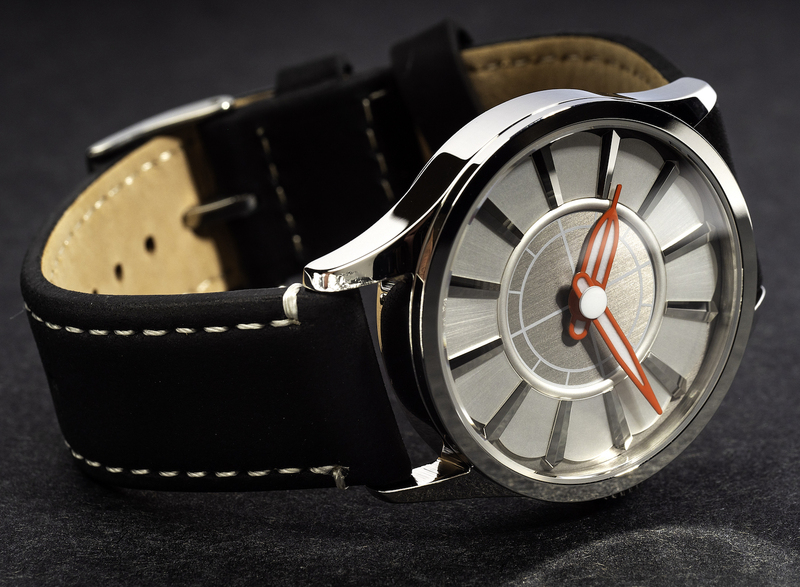 The crystal is a .5 mm domed sapphire, and with a case thickness of 9.5 mm this watch will sit 10 mm tall off the wrist. 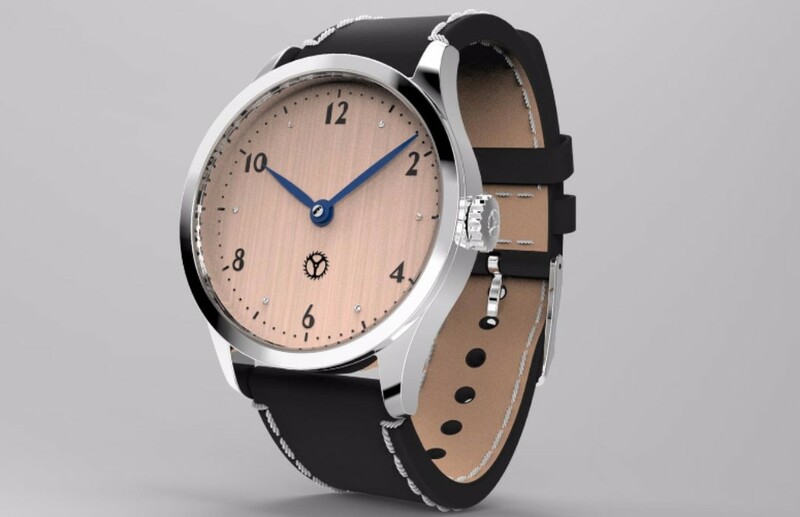 The case is classically sized at 37.5 mm and 46 mm lug to lug, this will be a nice dress watch for a man and sized in a way that a women could enjoy the watch as well. 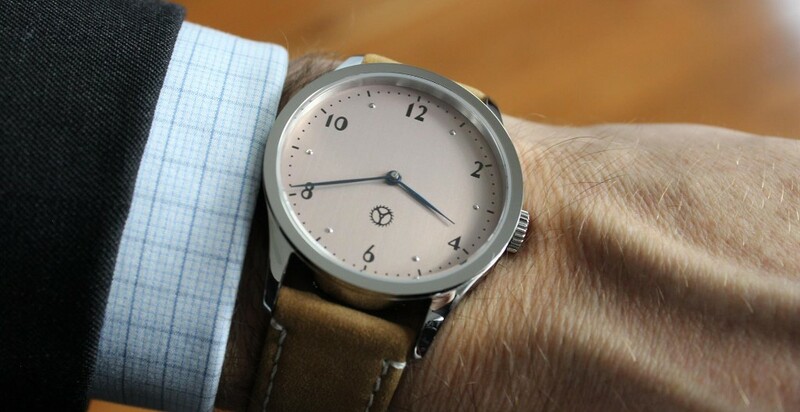 The case is an all polished overall vintage design with a flat bezel. We will have 3 dial options, only 2 are depicted in the renderings; silver-white, rose-champagne-tanish (Appears pinker in the rendering than it should in real life, is tanish a word? ), and a light grey. 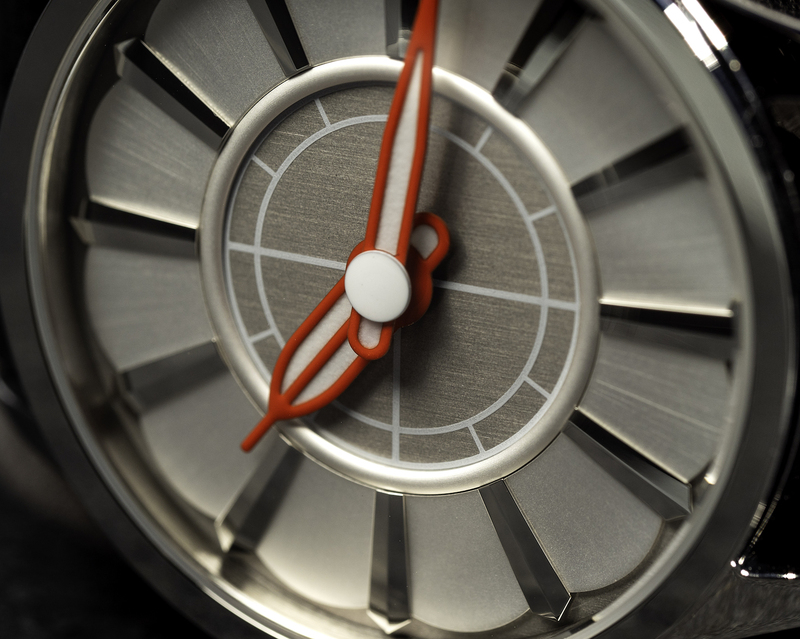 The dial will have a vertical brushing, and the numerals are in an Art Deco font. The applied silver hour marker pips are polished as well. We will have several hand styles to choose from. We will have a 2 handed leaf option, which are real thermally blued hands (not painted). The 3 handed option will feature a double arrow tipped sweep second hand coming in various tip colors. In our research of art deco we see arrows and triangles doubled like this so we thought we would produce a hand with this feature. We are working/hoping to have the Series Deco available for pre-order in the next 30-60 days. As soon as I have the prototypes I will do a video review! I will have more exact information on the pre-order availability soon – stay tuned. Hey! The Guilloche Engraved Rotor Price Is Higher! How Dare You! We didn’t mean to offend, we promise! As it turns out the factory rotor from Miyota for the 8215 is an exceptionally hard brittle metal. In addition to losing rotors to waste during the cutting process, our Artist is spending way more than the projected time cutting these pieces by hand. (In addition to regularly breaking his cutting tip on them) We need to compensate our Artist for the extra effort he is putting into these, and at $129 it is still a fantastic value for a handcrafted rotor carved on a Vintage Rose Engine Lathe.